Sophisticated and Dynamic. The Ikon high-end Spanish single-hole bathroom faucet, constructed with the utmost attention to detail, a true masterpiece of Spanish Design. 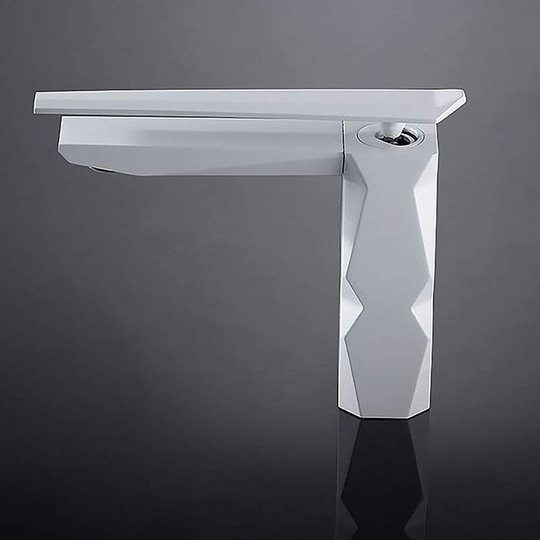 This modern faucet, with complex geometric lines and distinct features, screams luxury with a decidedly sporty edge. This ultra modern faucet has a fixed height to accommodate integrated or drop-in bathroom sinks. 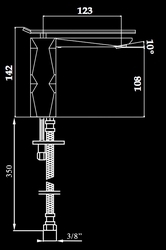 The Ikon high-end bathroom faucet will be the signature focal point in an ultra-sophisticated bathroom. It's sleek faucet, draws inspiration from a prism with endless faces and is easy to install and maintain. Whether your design style is transitional or modern, MaestroBath products will compliment your home improvement project and add a lavish, luxurious feel while protecting your health, safety, and the environment. The Ikon Luxury Spanish faucet will make a sophisticated statement with its Designer- inspired colors: Polished Chrome & Polished Gold.